Frazer Harrison / Getty‘I drive my kids crazy,’ Cuban said. Cuban told Vanity Fair that, when he drives his 15-year-old daughter to school, he embarrasses her by rolling down the windows and blasting hip-hop music. It might be a way of keeping his famous, wealthy family down to earth. 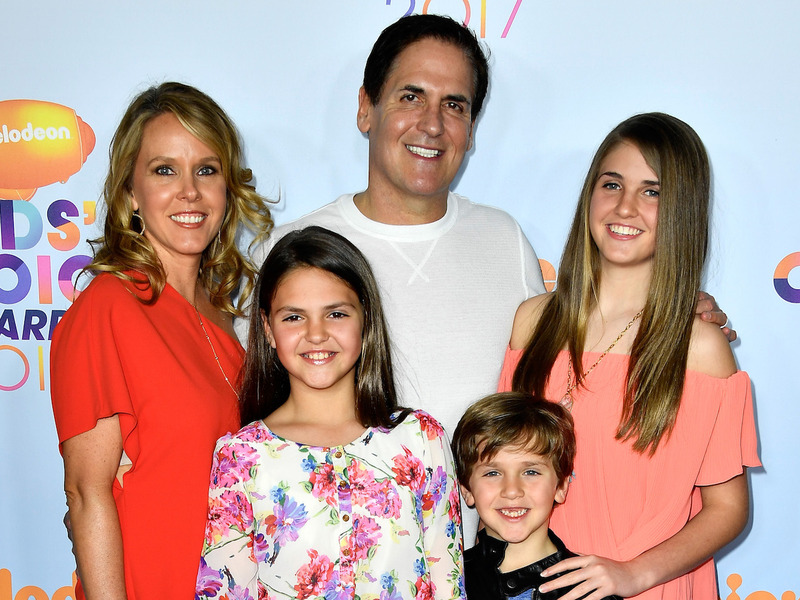 Mark Cuban and his 15-year-old daughter have different ideas of what it means to be cool. Cuban is hardly the only celebrity dad to make his kids want to disappear. Soccer star David Beckham said on “The Late Late Late Show with James Corden” that he accompanied his son Brooklyn, now 19 years old, on his first date. Meanwhile, Parenting.com reported that Will Smith frequently tries to kiss his son, Jaden, now 20 years old, in front of cameras. Cuban didn’t specify in the interview with Vanity Fair, but it’s possible that the humiliation is just another way to keep his family down-to-earth.